...what the real 2050's could be like. This book is second in the series about what life will be like when "cyber" is prolific, self-aware, and in full control of large scale industry, service and transportation. This is more about the fascinating changes in how humans will live, and what they will be thinking about. This is the second book about what will people be experiencing, what will they be thinking about, and what will they be aspiring for in the 2050's. Roger White is a careful observer of life and people, and he's done so from many interesting perspectives. He was a soldier in Vietnam in the 60's, an engineering student at MIT in the 70's, a computer networking pioneer in the 80's, and a teacher in Korea in the 90's. 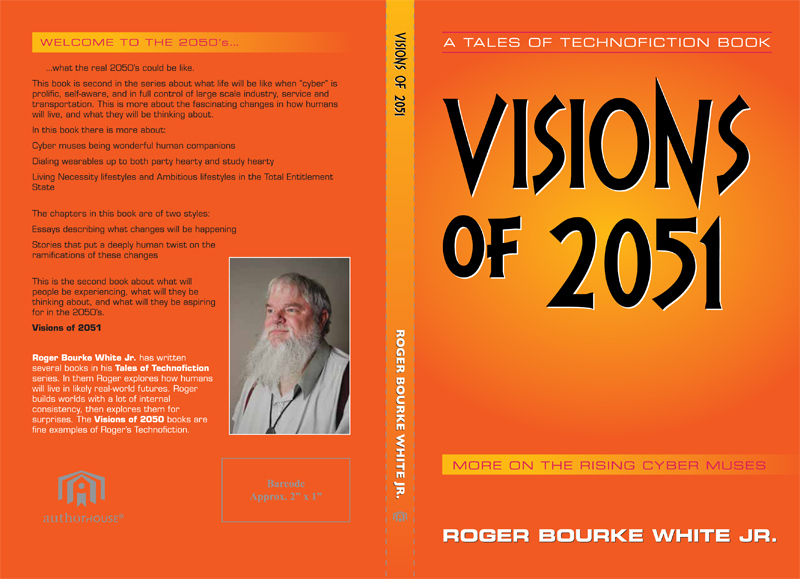 Roger thinks about how technology changes our lives and sometimes writes about it in the science fiction format... Technofiction.